If you missed the first part, you can check it out here. White must have entertained a similar thought process and must have decided on the option 23.Rd4 which must have appealed to him in his ‘mind’s-eye’ and which, according to him would pose more problems – even if it is trivial or at times pseudo. First, let me remind you of the special 30% discount I’m providing you with, in honour of my birthday (28 October). This discount will be valid till Saturday, 31 October (inclusive). Just use the coupon “igor28” when making your purchase. Don’t know how to use a discount code? – check here. My birthday and exciting offers! It’s 28 October – my birthday, and ironically, I’m turning 28 today! As usual, in honour of my birthday, I’m going to provide you with some special offers and something new. Before that, I’d like to share with you, a nice and colourful greeting card I received from one my students. I really liked this card and I also thank everyone who wished me a happy birthday! As I promised, today, I am going to share with you, more information and photos from my past seminars in Vellore and Chennai. My first-ever lecture session for a large audience and the first-ever seminar about chess in Vellore took place on 17 October. Chess players, not only from Tamil Nadu, but also from other southern states of India like Karnataka, Andhra Pradesh, Telengana, and Karnataka took part in this seminar. Also, I came to know that this was the first time that a chess Grandmaster is visiting Vellore. “GM Igor Smirnov said that a player should plan for the next move when the opponent is taking a long time pondering over his/her next move. He recalled that Viswanathan Anand won the world championship match against Veselin Topalov in 2010 by this strategy of planning his next move when the latter was pondering. Now let me share some interesting photos with you. Firstly, I’d like to invite you to my upcoming live seminar in India. It will take place in Thrissur on Saturday, 31 October 2015. The seminar will consist of two lectures and a simul. This will be the last seminar of my trip to India and, therefore, the last chance for you to get my personal training live. NOTE: Seats are limited, and only the first 150 registrants are allowed to play in the simul. Today, I’d like to share with you an interesting article prepared by Srikanth G, a professional chess player and a friend of the RCA Academy Manager. This article is about the recent World Cup final match between Karjakin and Svidler. So, let’s begin the ride! The prophetic words of the great master of strategic play studded with great deceptive dynamism, is the underlying factor….chief one in determining success. Stress, the oft mentioned term in modern days, is the chief component of this inner state! Simply put, “stress refers to that quality of experience, produced through a person-environment transaction, that, through either over-arousal or under-arousal, results in psychological or physiological distress” – the best description of the term that I’ve come across. Without getting into the science of it, suffice to say that it is merely a perceived sense and the protagonist in the ‘act of stress’ is Mr. Mind! Today, I’d like to share with you impressions and some photos from my first two seminars that took place in Vellore and Chennai. In the previous lesson, GM Levan Aroshidze gave you an introduction to the “Corner Pawn Attack” (CPA), along with a few examples from his own games. If you missed that, you can watch it now here. Also, in the first part of the lesson, Levan told you that this CPA can be used in various stages of the game (mainly when your opponent has a fianchettoed pawn structure or when both of you have castled on opposite sides). Indeed, you simply cannot underestimate the power of pawns. Today, I’d like to share with you another impressive chess lesson from our guest coach GM Levan Aroshidze, and it is called the “Corner Pawn Attack in Chess”. A corner pawn attack (CPA) is one of the most powerful and dangerous weapons in a game of chess. It can also be used at different stages of the game. Sometimes it depends on the concrete situation or position and the pawn structure. Generally, a CPA starts when the opponent has a fianchettoed pawn structure. Therefore, it can be used as one of the most effective methods of attack against a fianchettoed pawn structure, hence weakening the squares available to the fianchettoed bishop. Additionally, you can employ this method of attack when you and your opponent have castled on opposite sides. Normally, in the case of opposite-side castling, you aim to attack the side where your opponent has castled and invade it with a pawn breakthrough. This might sound a bit complex, but GM Aroshidze makes it simple for you. In this lesson, he will be sharing with you some of his own games where he has incorporated the CPA and was successful at it! This is a typical middlegame position where the players have castled on opposite sides. Both are yet to develop two of their minor pieces. It is White’s turn now. How should White play here? What is the plan for White? Of course, you should not just guess a move but, rather, you have to think and focus on White’s plans. After calculating for a while, you can check the whole game by watching the video lesson below. Note: We have added English subtitles to the video. It will help most of us – those who are not native speakers can understand its content better. What do you think about this idea or the lesson in general? Feel free to comment below! I’m very happy to let you know that my seminar in Chennai is confirmed. It will take place on Sunday, 18 October. I invite you to attend this event and am sure that you will learn a lot and that we will have a lot of fun during the day. This will be a one-day event – it will start at 09:00 in the morning and run till 18:00 IST (check timings here). 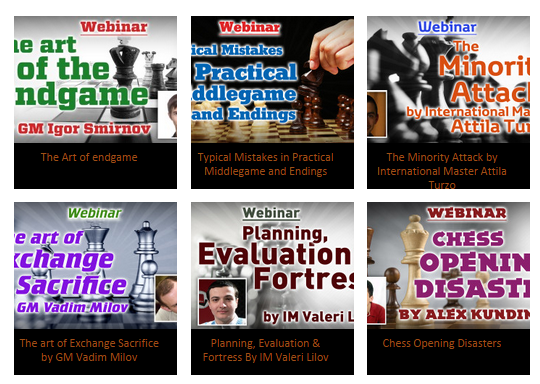 an interactive lecture where I will be sharing with you some highly important material about chess that will help you boost your chess progress, and I will clear your questions and doubts. First, let me remind you of my upcoming seminar in Vellore. As I informed you already, it will be a one-day seminar where you can attend my lecture, where I’ll be sharing some of my knowledge with you and answering your questions. Additionally, you will have a chance to play simul against me – only the first 150 registrants will be able to attend BOTH the lecture and the simul. Finally, there will be a photo session for the participants with me and prize distribution to the Simul winners. To get the maximum benefit of this event, just register for the seminar now! As you might be aware, I am going to host several of my seminars in different cities in India. I’m happy to let you know that the first seminar is confirmed – it will take place in Vellore on Saturday, 17 October. I invite you to attend this event and I’m sure that you will learn a lot and that we will have a lot of fun during the day. This will be a one-day event – it will start at 9:00 in the morning and run till 18:00 IST (check timings here). 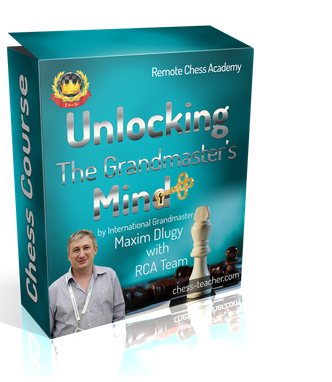 During the seminar, you will attend my lecture where I will be sharing with you some highly important material about chess that will help you boost your chess progress, and you will be able to put your questions to me directly and get my answers right away. After that, you will be able to play in the simul against me. 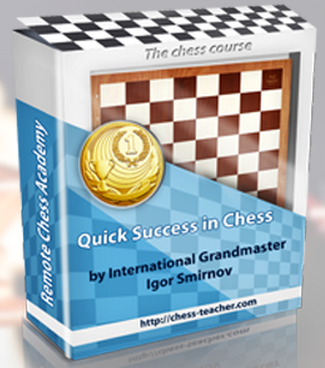 Moreover, if you are lucky enough to win your game in the simul, you will get a special prize from me. Also, you will be able to take part in the photo session and get your photo taken with me. Today, I have some great news for you. I’m going to bring my seminars to India. It’s a great pleasure for me to see the large number of students from India who have achieved excellent results. Additionally, a lot of team members of the Remote Chess Academy (RCA) are from India, too. All these people have been inviting me to come to India. Finally, I’ve decided to give it a try. Therefore, in the second part of October, I’ll be visiting different Indian cities for my seminars. I’d like to invite you to join these events. How I defeated Fabiano Caruana in a blitz game! Before starting this lesson, I’d like to remind you of the special offers on my new book, A Promoted Pawn: My Chess Journey. I’ve provided you with a huge 25% discount (you save about $12) – use the coupon “pawn25” when making your purchase. Learn how to use a discount code here. Additionally, the first 50 buyers will have the opportunity to send in their questions to me about the book; the next 100 buyers (in addition to the first 50) will receive the answers to those questions. As I have informed you already, we’ve already reached the first 50 buyers. Hence, while there is only limited opportunity to receive the answers to the questions about my book – yes, you still have a chance to be in the top 150. But today (Fri. 2 October) is the last chance to take advantage of this offer and the discount on the book! First, let me remind you of the special offers on my new book, A Promoted Pawn: My Chess Journey. As you know, the first 50 buyers will have the opportunity to send in their questions to me about the book; the next 100 buyers (in addition to the first 50) will receive the answers to those questions. I’d like to inform you that we’ve already reached the first 50 buyers. Therefore, if you haven’t bought the book yet, don’t worry – you still have chance to receive the answers to the questions about it, if you buy the book now.